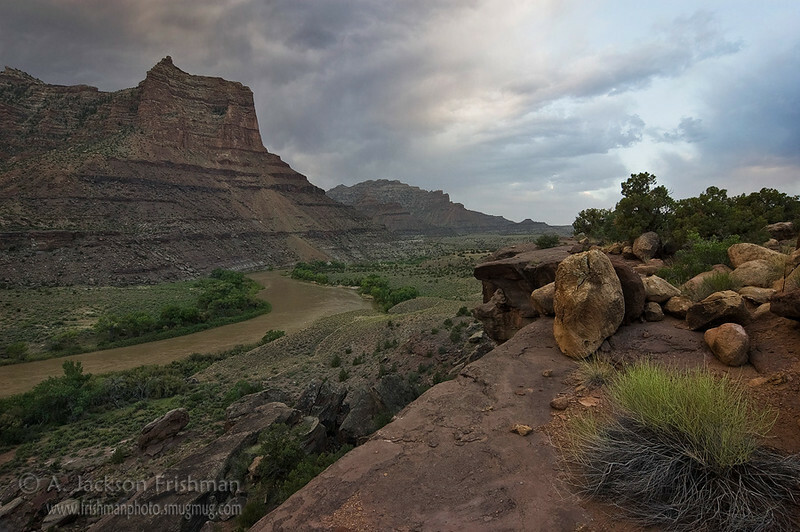 Evening storm clouds above Desolation Canyon and the Green River, Utah, June 2010. 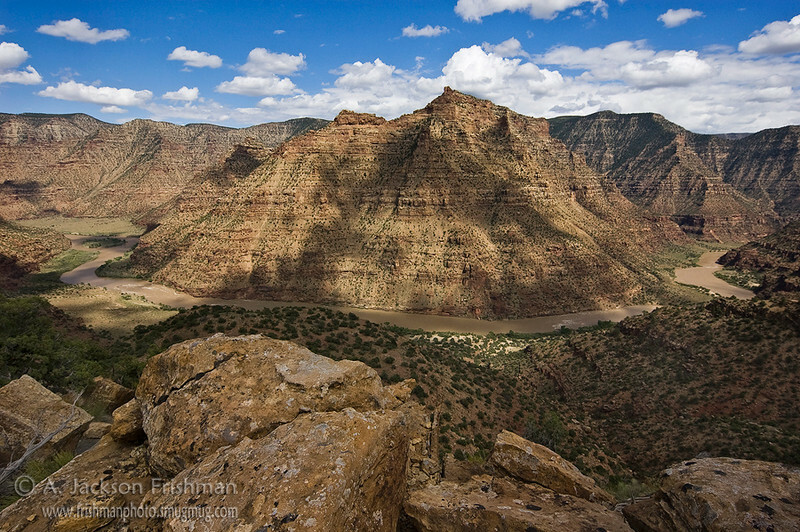 Desolation Canyon, Utah, June 2010. 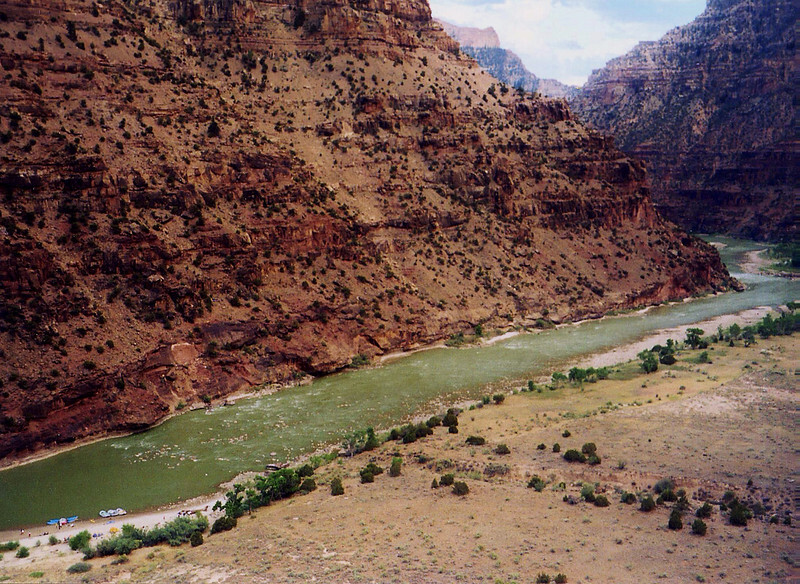 Desolation Canyon, Utah's Green River, July 2002. 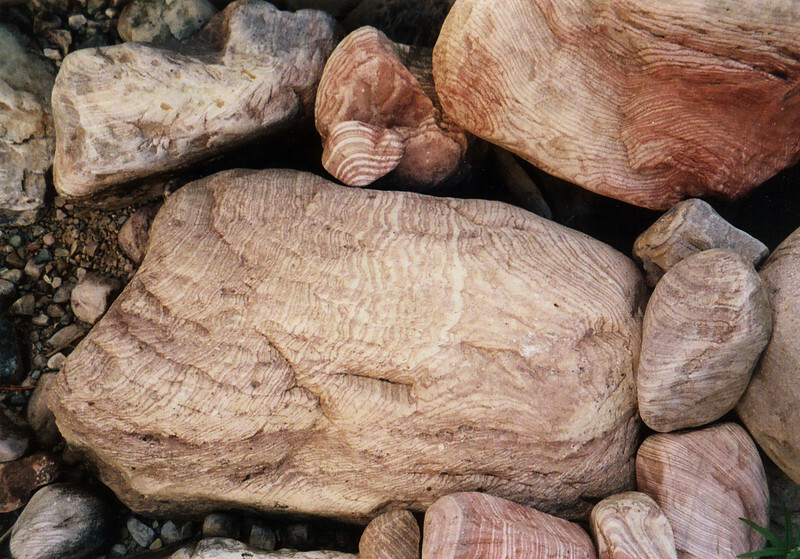 Pinstriped boulders on Utah's Uintah River. 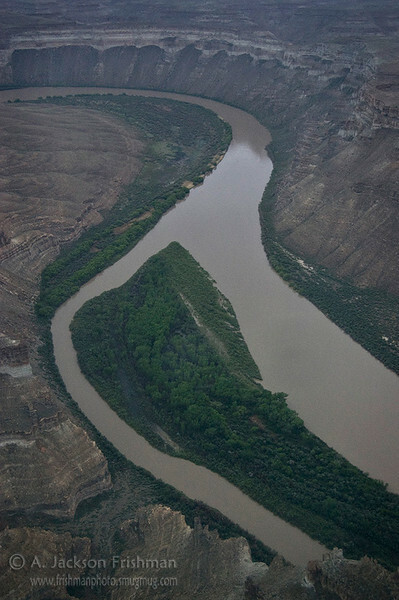 Flying over the Green River, Desolation Canyon, Utah, June 2010. 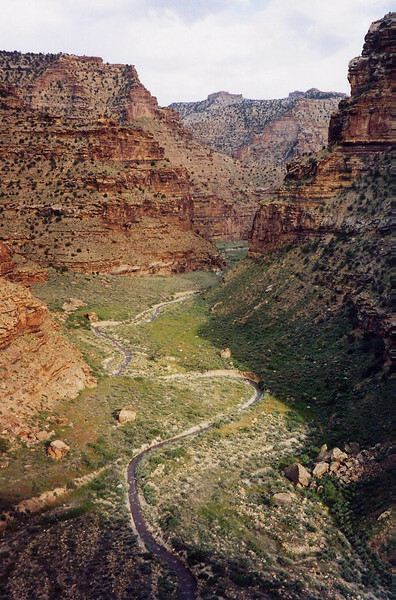 A seasonal tributary of Utah's Green River in Desolation Canyon, May 2003. 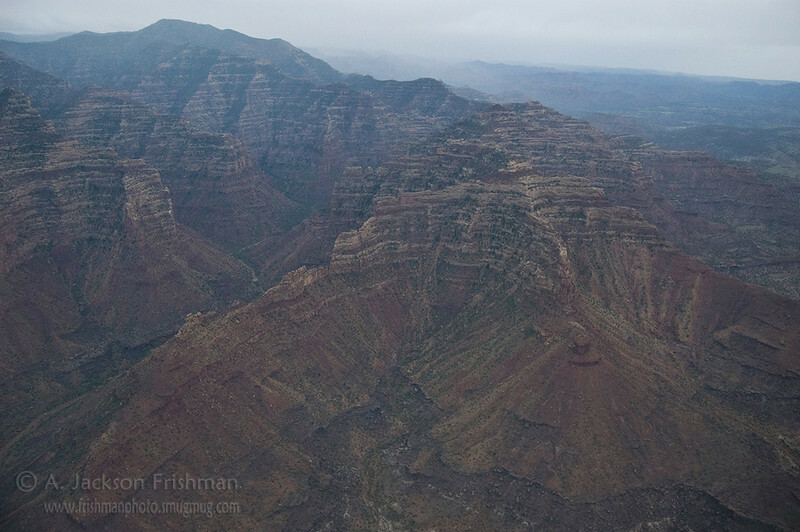 Flying over Desolation Canyon, Utah, June 2010. 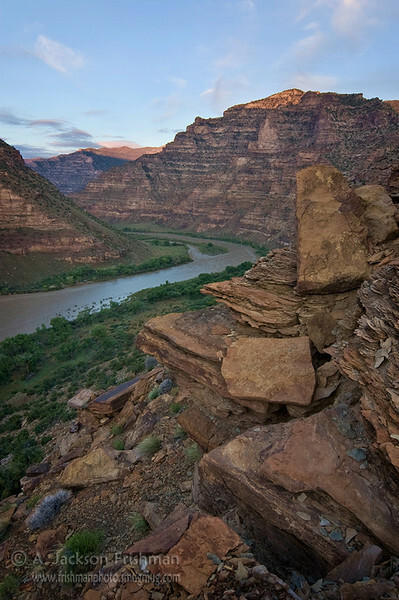 Sunrise in Desolation Canyon, Utah, June 2010. 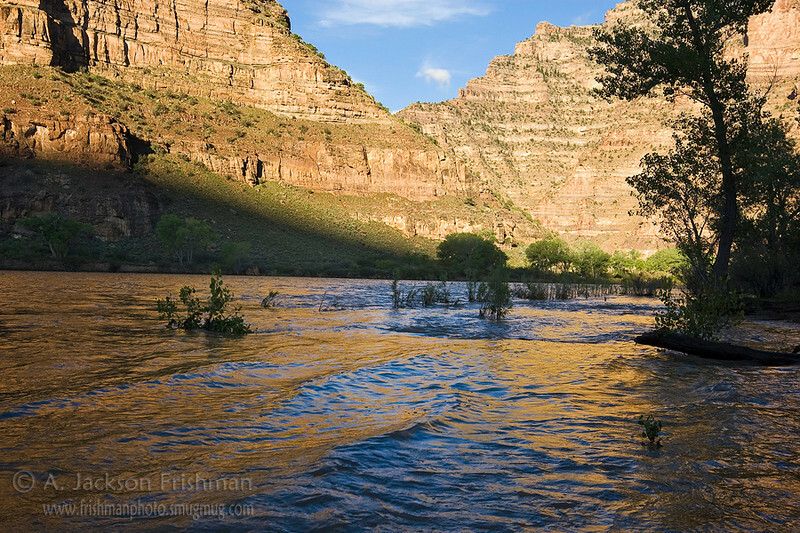 Morning reflections on the Green River, Desolation Canyon, Utah, June 2010. 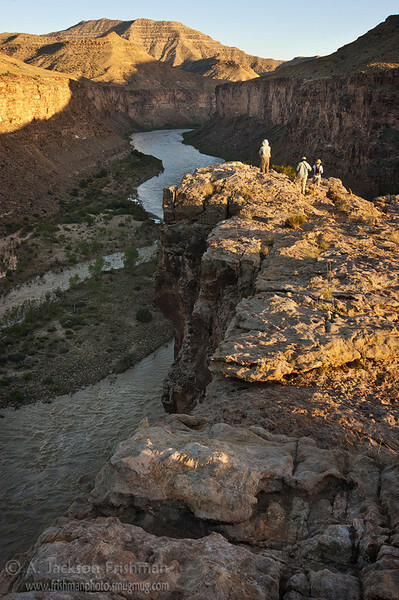 Enjoying the evening light over the Green River, Gray Canyon, Utah, June 2010. 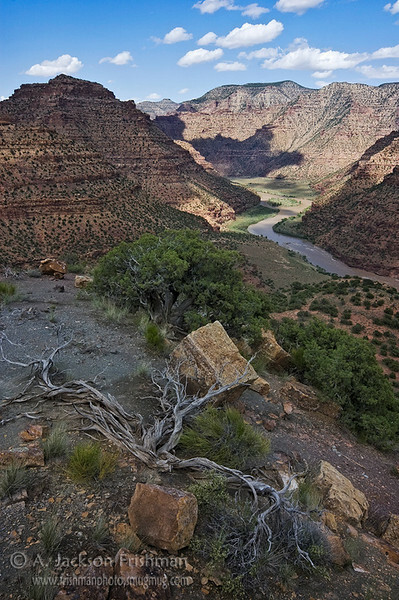 A high view of Desolation Canyon, from above Steer Ridge camp, July 2010. Ephemeral waterfall at the Temple of Sinawava, Zion National Park, Utah, March 2013. 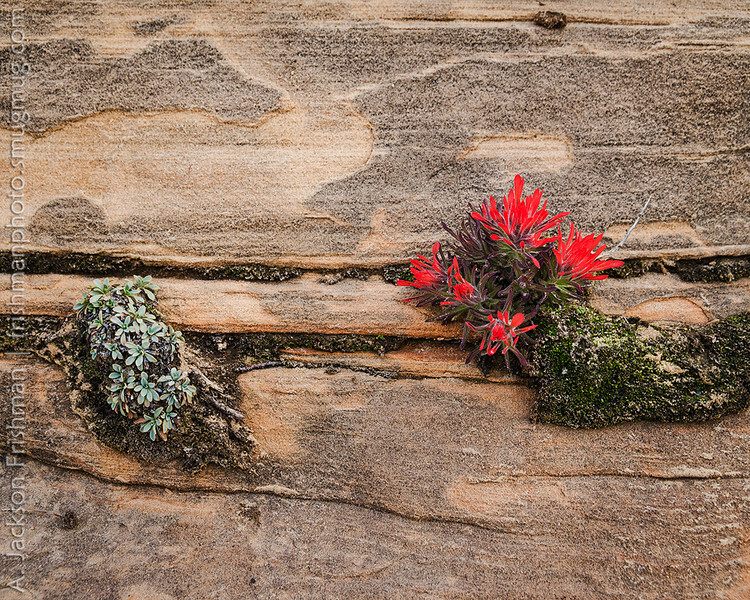 Flowers and sandstone, Zion National Park, Utah, March 2013. 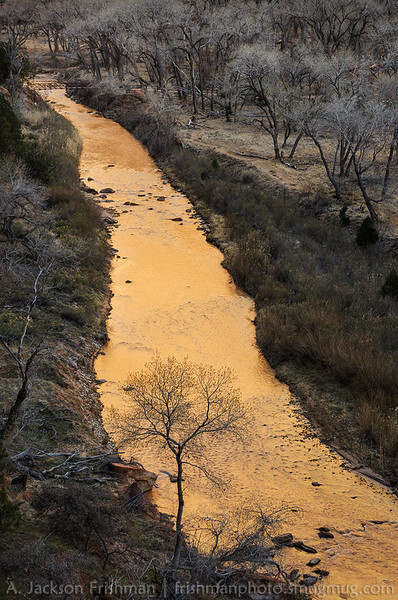 Reflected light on the Virgin River, Zion National Park, Utah, March 2013. 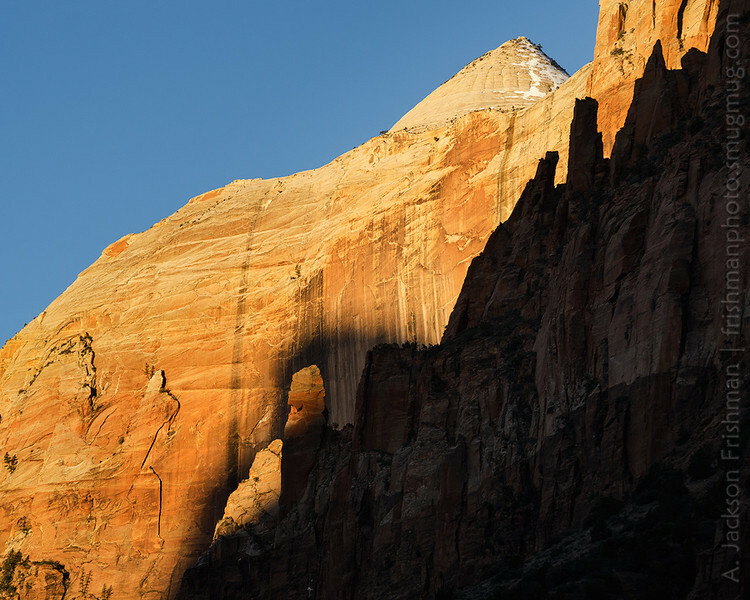 Sunrise on the Streaked Wall, Zion National Park, Utah, March 2013. 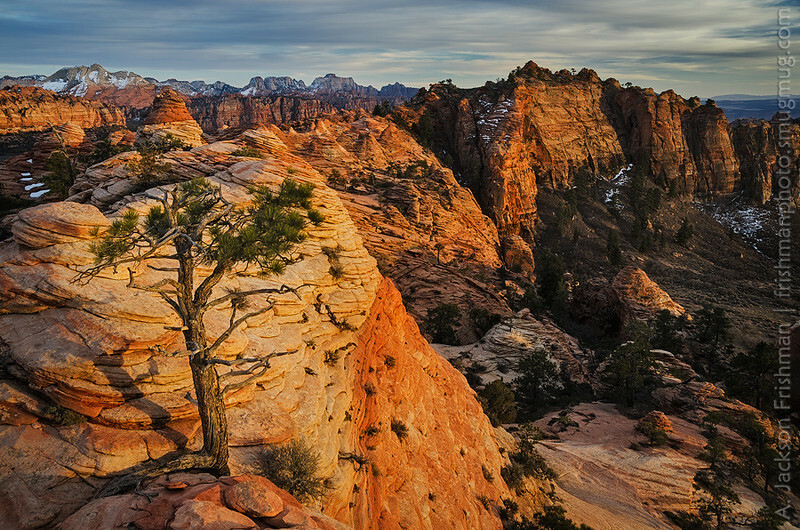 Sunrise on the East Temple, Zion National Park, Utah, March 2013. 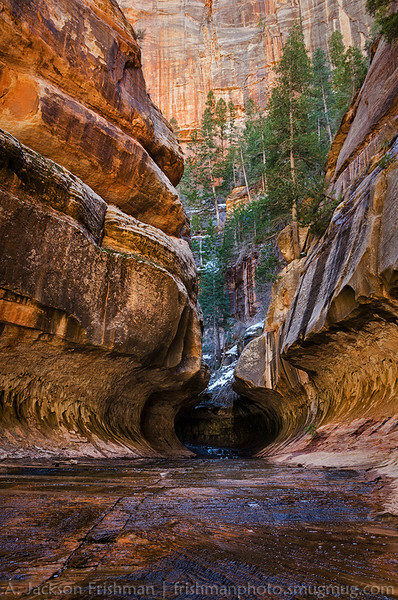 The entrance to the Subway, Zion National Park, Utah, March 2013. 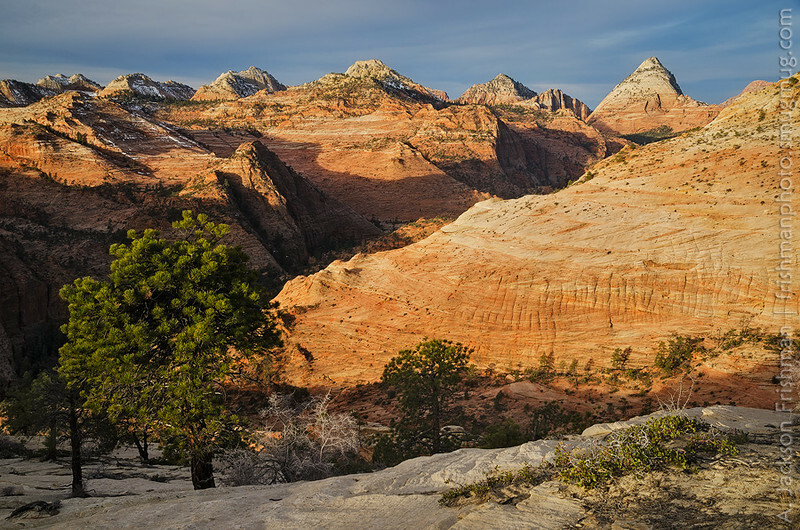 Evening above Kolob Terrace, Zion National Park, Utah, March 2013. 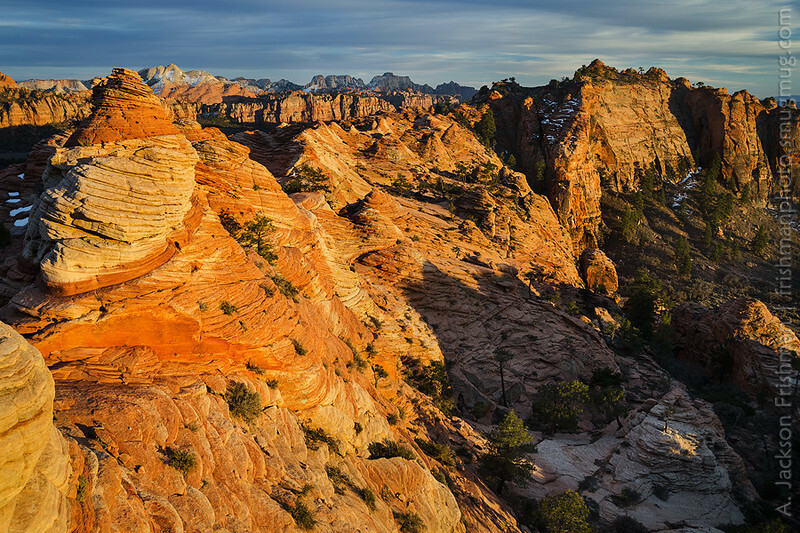 Sunrise on Bridge Mountain and the sandstone domes of the east entrance road, Zion National Park, Utah, March 2013. 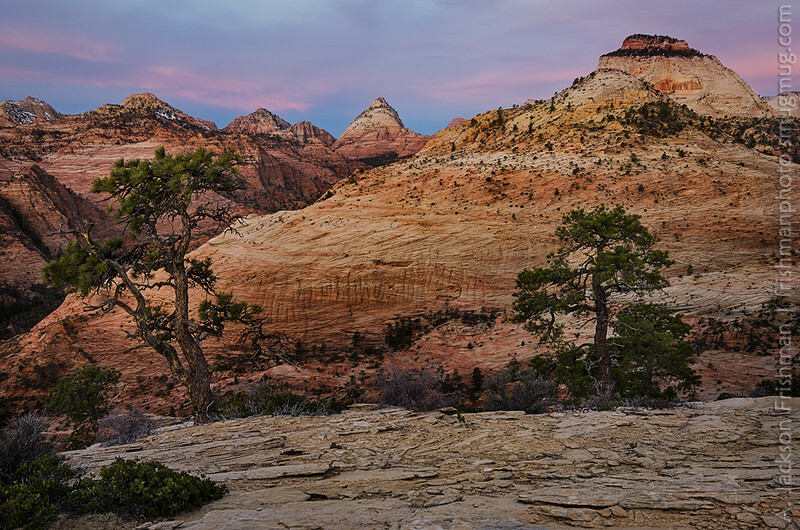 Sunset near Kolob Terrace, Zion, National Park, Utah, March 2013. 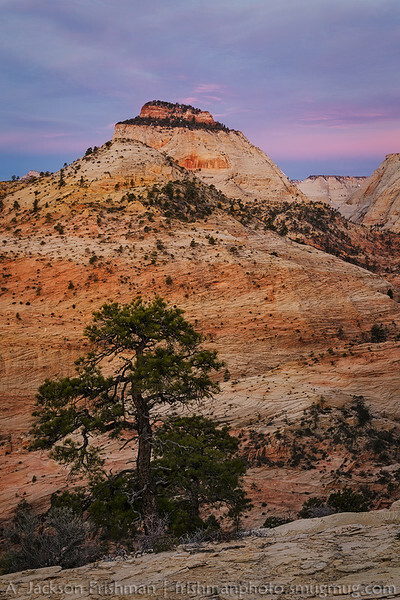 Dawn clouds above the East Temple, Zion National Park, Utah, March 2013. 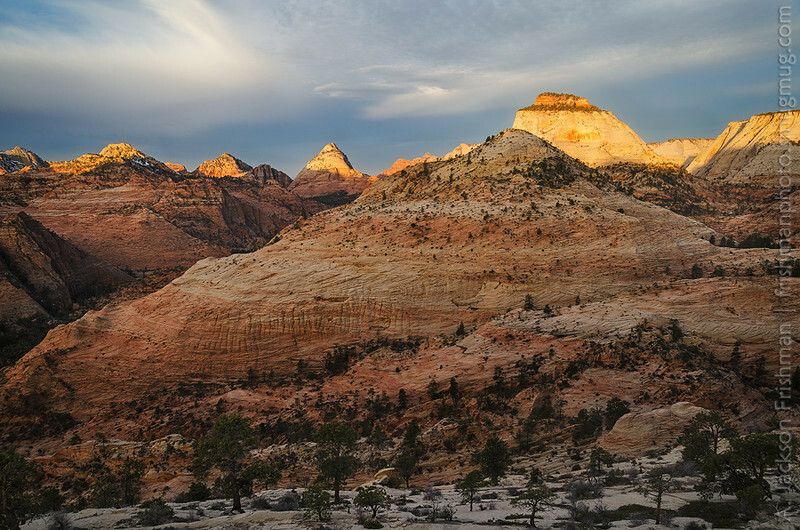 Dawn over the East Temple and Bridge Mountain, Zion National Park, Utah, March 2013.